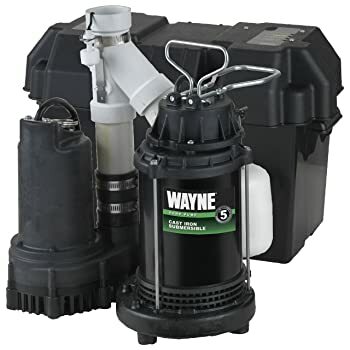 The Wayne WSS30V is a pre-assembled sump pump designed for customers who prefer plug-and-play types of machinery.Help you say goodbye to a flooded basement! More often than not, new homeowners start out without much knowledge or handiness about home improvement tools and gadgets. This dilemma is now eliminated by the Wayne WSS30V Sump Pump, which gets delivered in the mail already pre-assembled and ready to go. See all your water-related problems go away with this model. All you have to do is mount it inside the sump pit and get it running! 2. Why Should You Purchase The Wayne WSS30V Sump Pump? The pump is automatic and prevents basement flooding by removing ground water from sump pits. What’s even better is that aside from the main pump, a back-up pump is also included to help relieve load from the main pump when the water level rises too much. 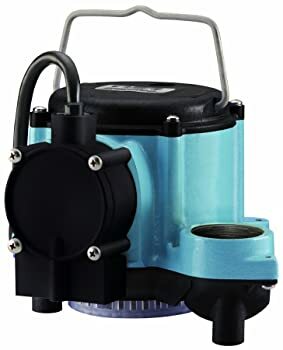 ​This model’s top suction design minimizes obstructions and clogging of the drainage pipe, making it one of the best sump pumps available in the market. It also has an alarm system that informs customers when the back-up system becomes active, which is helpful because it alerts us that the water level is rising quite faster than expected. ​3. What Are The Unique Attributes And Features Of The WAYNE WSS30V? Already properly pre-assembled and preset in the U.S. According to the manual provided, the sump pit should be cleared of debris, stone, and sand that may cause damage to the pump. 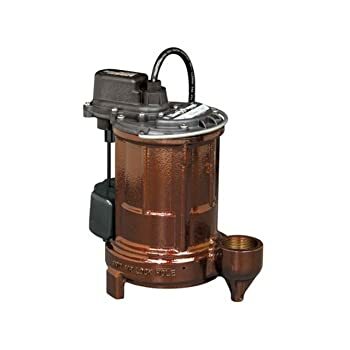 This is highly essential as the sump pump has no installed filter, and it clogged easily on my first use on a sandy sump pit. It’s a good habit to check the battery condition at least once in every month to ensure that no accidents caused by shorted circuits or overheating occur. Avoid hitting the pump or battery posts with metal tools or heavy objects to prevent sparks or short-circuiting the system. Always check the discharge pipe for any lodged debris and clean up any obstructions that can weaken or totally stops outflow the outflow of water from the pit. Also, don’t forget to unplug the unit completely before tinkering with any parts, or moving it around. If a faulty wiring or defect is suspected, bring the pump to a qualified electrician to avoid injuries or accidents. Why won’t the pump start or run? There may be unsecured connections, or the battery may be low or defective. Tighten all connections and make sure that the pump is plugged in correctly. If the battery is defective, replace with a new one. Why is the pump on and running, but little or no water comes out? There might be debris blocking the discharge pipe, or the pump might be air-locked. This can easily be fixed by clearing up any obstructions in the discharge pipe and making sure that the sump pit is free of debris. If the pipe is air-locked, unplug the pump first then reposition the impeller hole to keep it open. This pump has a sleek design, installs quite easily and has a very impressive quiet performance. 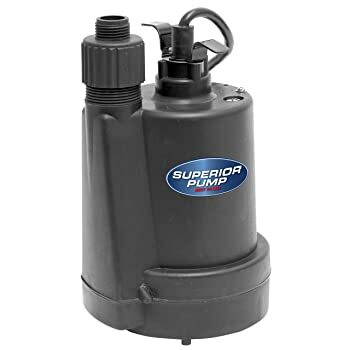 If you are searching for your perfect basic pump and a back-up, and this combo can definitely give everything newbie homeowners need. I don’t think I can find a better pair than this one.